57 high interest and engaging investigations are the heart of Biology: As Scientific Inquiry. Are you looking for investigations so irresistible that your students are drawn into the learning adventure? The use of the scientific inquiry process is integrated throughout each unit and become more complex as your students progress. 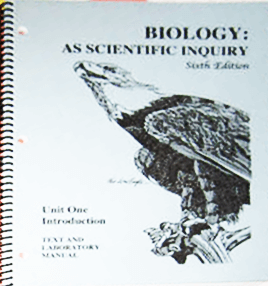 Do you want to try out a few inquiry lab activities from “Biology: As Scientific Inquiry?” You can freely download some of the activities presented at the National Science Teacher Association conferences. The author, Ron Thompson, is a nationally sought-after veteran presenter. His workshops are fast-paced and full of practical, proven ideas you will be able to use immediately to improve instruction in your biology and life sciences classes. Developed in the classroom to meet the need to integrate quality inquiry lab activities with content. BASI units are updated yearly as is appropriate. Enables students to master the inquiry process by hypothesizing, designing experiments and interpreting results. 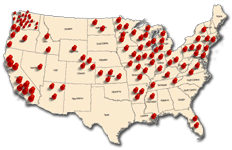 Adopted by over 140 districts because of its effectiveness in meeting State and National standards. “I think the tactics and ideas in Biology: As Scientific Inquiry are terrific! This is what all science teaching/learning should be: grade one through grad school."